Staying healthy should always be one of our top priorities. But fitness routines never seem easy for people to stick to. Some of us tend to get bored running on the treadmill over and over again. Others feel like it is too difficult to regularly exercise because they aren’t having fun.While following a balanced diet is definitely one component of fitness, exercise is certainly the other crucial half. If you do not intend to work out and continue to make excuses, your health will definitely suffer.No one is saying you have to go running every morning at the crack of dawn in order to stay fit and healthy. On the contrary, you can make dancing the main component of your fitness routine.Think about it…Professional dancers are always slender, fit, and healthy. So it makes sense to incorporate dance into your daily routine as a form of exercise.Still not convinced about the health benefits of dancing? Keep reading to find out more about the healthy fitness benefits that dancing can provide. You may not want to wear running shoes every day, but wearing your sneakers for dance will lead to a healthy, fun, and enjoyable exercise experience. Not only are you going to break a sweat and experience an amazing cardio exercise, you’ll also increase your strength and muscle tone at the same time.Whether you realize it or not, you are going to have a lot more energy when you dance on a regular basis. It’s an aerobic workout so your strength and stamina has no choice but to increase.And as you build more stamina, you are going to have greater strength. You are going to work out muscles like your hips, lower back, abdomen, and leg muscles and dancing is even a great upper body workout too. So you’ll improve your muscle tone, have greater stamina and much more energy as you begin to look and feel healthy and fit. As you become more proficient as a dancer, you’ll have no choice but to become better balanced and more coordinated as well. Certain dances will be better than others as far as coordination and balance goes. Some dances require torso rotations, leg kicks, and twists. You’ll build muscle by repeating these motions over and over, which will strengthen your core, help you balance better, and the repeated motions will help you become more coordinated too. Most of us fail to realize that dancing is a great way to keep your weight under control. 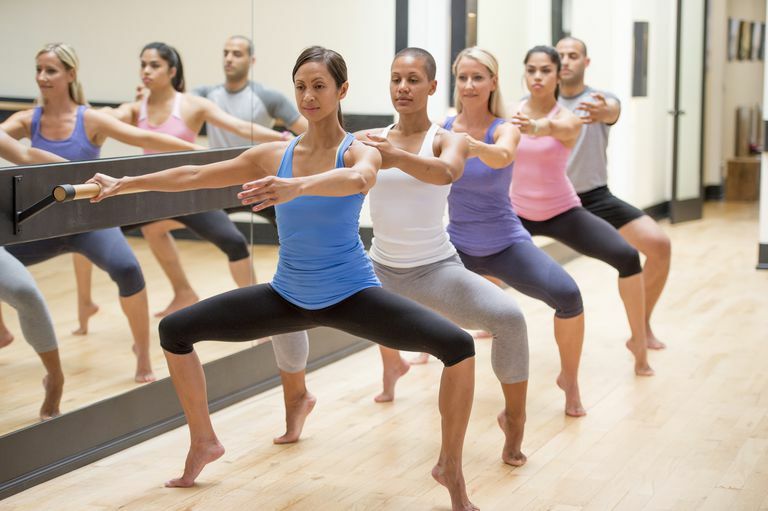 If you need to lose weight in the beginning, starting a new dance routine will help you speed up your metabolism through this form of exercise. You’ll also burn plenty of calories, which in turn will help you lose weight.Dancing is an aerobic exercise, which is great for your heart as well. As you speed up your heart rate, you’ll have no choice but to burn any additional calories you happen to eat during the day. If you stick to a sensible diet, you’ll have no trouble burning off excess weight through this form of exercise. Are you sick and tired of doing the same old cardio routine day after day? This can certainly get boring and make exercise feel totally uninspiring. We’d love to help you overcome the cardio workout blues by suggesting dancing as a much more fun and effective alternative.When you dance, you are moving your entire body, which is great because you can work out various muscle groups at the same time. This is a complete and total body workout, so you will not have to add other exercises like weight training, running, or anything else to stay fit and healthy. Dancing has you covered in all areas.Best of all, as you move around on the dance floor your heart rate is going to be jacked up. That’s why it’s such a great cardio workout to help improve heart health that also makes you fit and strong. Clearly, dancing has many benefits to help you stay healthy and fit. But you’ll never experience them if you continue to sit on the couch and watch TV. So get up, get moving, and make sure you spend time on the dance floor each and every day to experience the amazing results in the power of dancing for health and fitness.